This versatile jumpsuit is perfect to dress up or down. Featuring an emerald green material with an elasticated waistband, V strap and culotte fit. 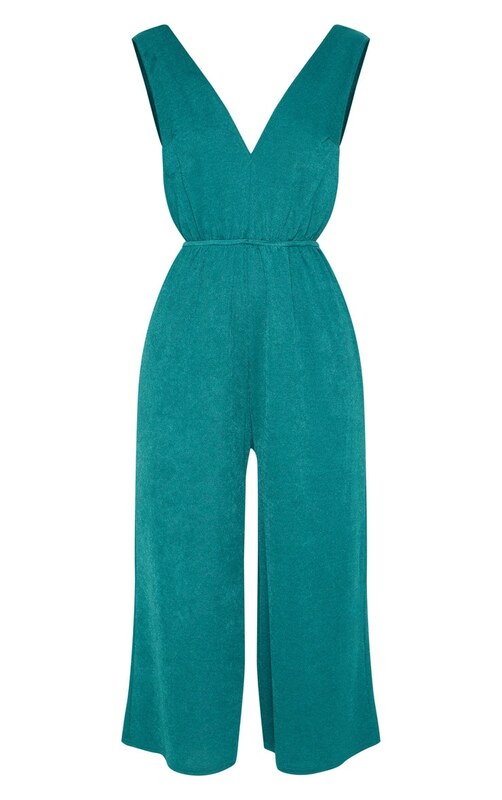 Team this jumpsuit with a roll neck and heeled boots for an off-duty look we love.